High performance vehicle R35 GT-R's differential oil temperature tends to be very high under severe conditions such as circuit driving. differential oil temperature may affect on the lubricant performance and/or LSD's performance maintenance. 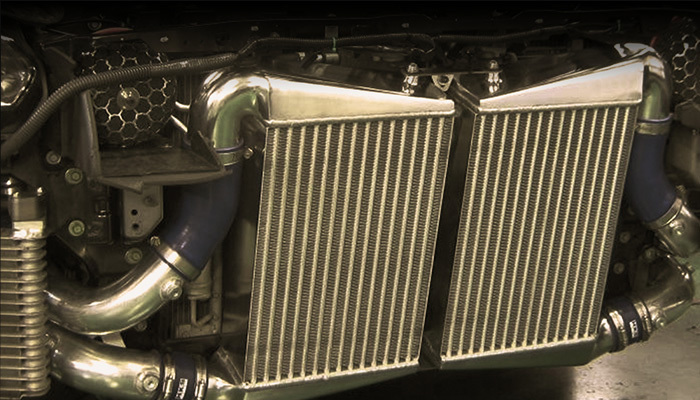 HKS Diff Oil Cooler Kit was developed to solve these problems. 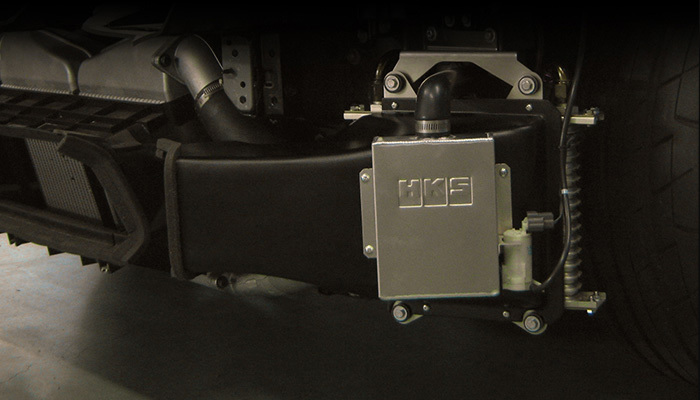 HKS Diff Oil Cooler can maintain the differential oil temperature and prevent the oil degradation. HKS DCT COOLER KIT protects the clutch and transmission and maintains firm shift feeling from normal road to off-road use. 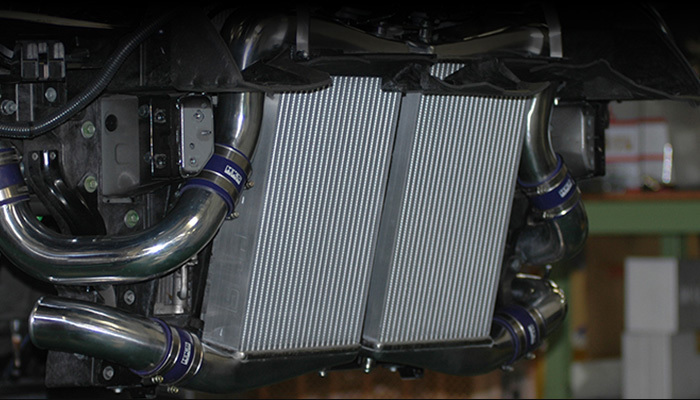 Must have the intercooler for supercharger tuning. This is high capacity type that is developed with GT1000 Full Turbine Kit. 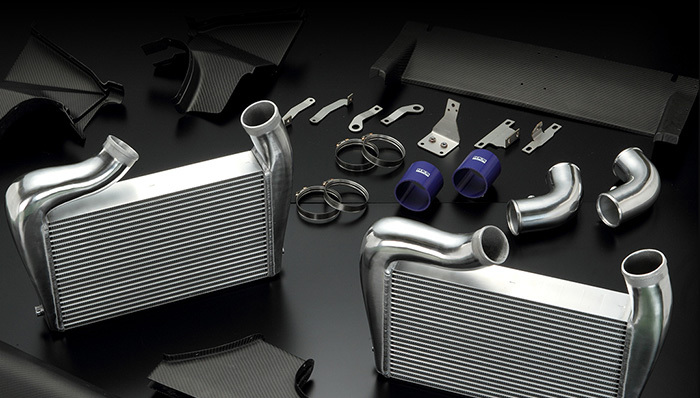 HKS INTERCOOLER KIT for R35 GT-R improved cooling efficiency by utilizing the large capacity core and carbon air guide. The weight is lighter than the factory intercooler. 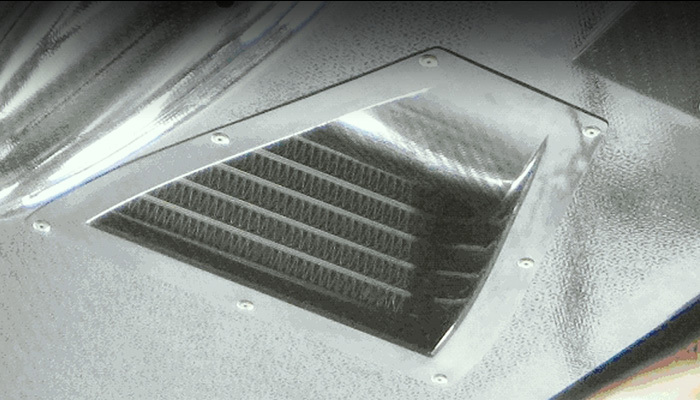 An air ductless addition to the intercooler kit for Nissan GT-R R35. This product is for those of who want a reasonable price tune-up. 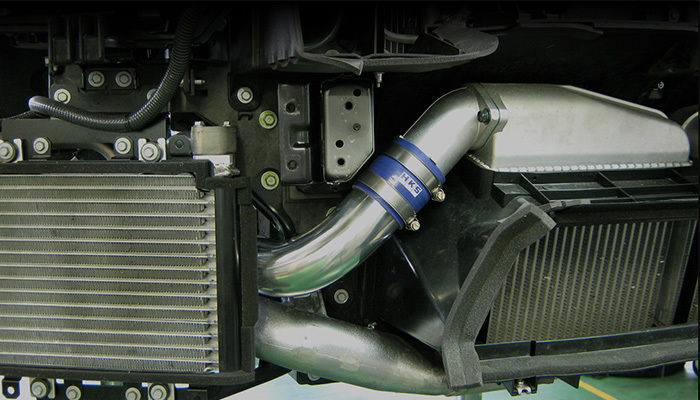 HKS INTERCOOLER PIPING KIT for R35 GT-R has unique piping layout for high cooling efficiency. 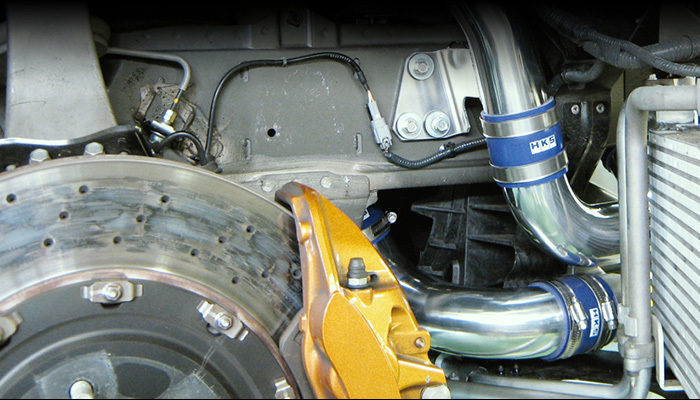 Also, Aluminum pipes are utilized to reduce the affections of increased boost pressure. This is the full kit of Piping Kit (13002-AN003) plus SQV IV.